May 7. Another long 10-hour driving day, but this one is different, because most of it is an extended game drive through Etosha National Park, the second most popular tourist destination in Namibia, after the dunes. We leave at 7, after an early breakfast, passing again through the incredible melting pot town of Opuwo. 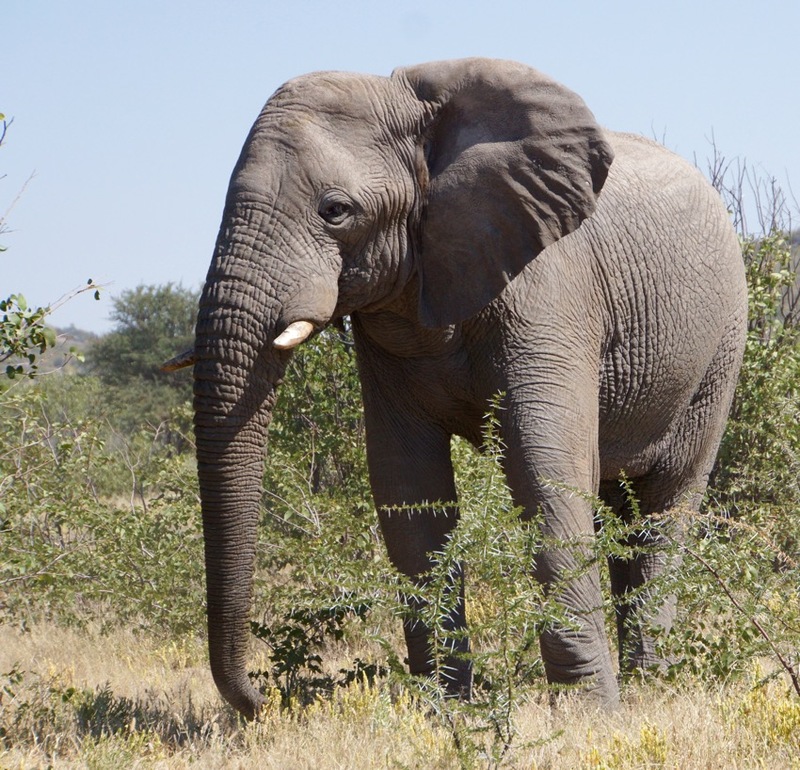 Spend a little time finding air for a low tire, the drive a couple hours to Etosha. There is considerable game along the road, and this feels much more like the safaris Carol and I have been on in other trips. 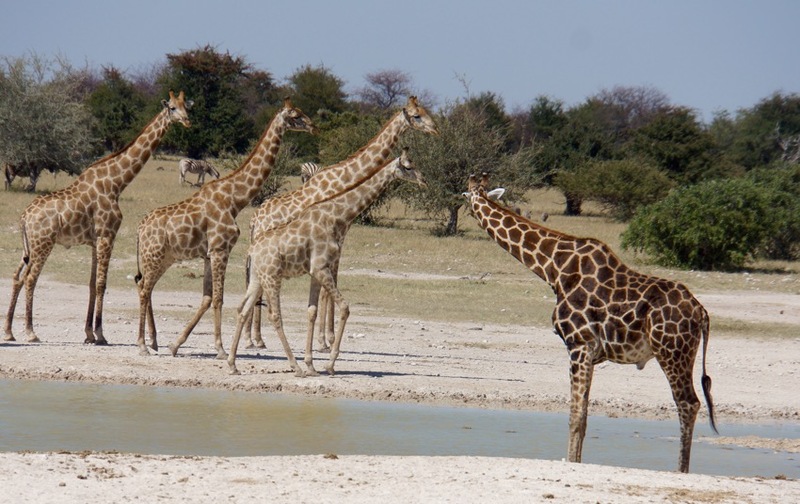 The best game viewing, though, is at water holes, where often diverse groups of animals congregate to drink and bathe, we probably stop at 7 or 8, squeezing a quick toasted cheese and tomato lunch in between. There are signs in a number of places indicating that facilities and roads have been constructed with funds from Millenium Challenge Grants from the U.S. It’s nice to see that we’re doing some good for Namibia, and that it is being recognized. Etosha National Park, translated as the ‘Place of Mirages’, Land of Dry Water’ or the ‘Great White Place’, covers 22 270 km², of which over 5,000 km² is made up of saline depressions or ‘pans’. The largest of these pans, the Etosha Pan, can be classified as a saline desert in its own right. The Etosha Pan lies in the Owambo Basin, on the northwestern edge of the Namibian Kalahari Desert. Until three million years ago it formed part of a huge, shallow lake that was reduced to a complex of saltpans when the major river that fed it, the Kunene, changed course and began to flow to the Atlantic instead. If the lake existed today, it would be the third largest in the world. Etosha Pan is the largest of the pans at 4 760 km². It is nowadays filled with water only when sufficient rain falls to the north in Angola, inducing floods to flow southward along the Cuvelai drainage system. The Park consists of grassland, woodland and savannah. 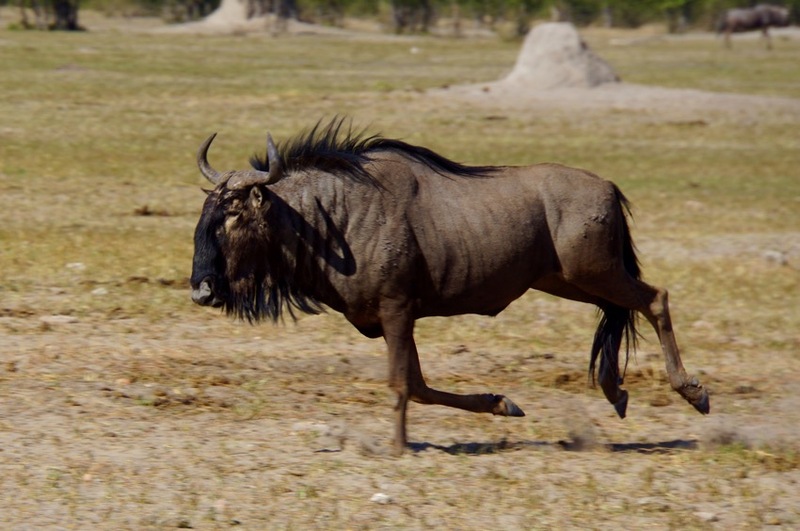 Game viewing centers around the numerous springs and waterholes where several different species can often be seen at one time. 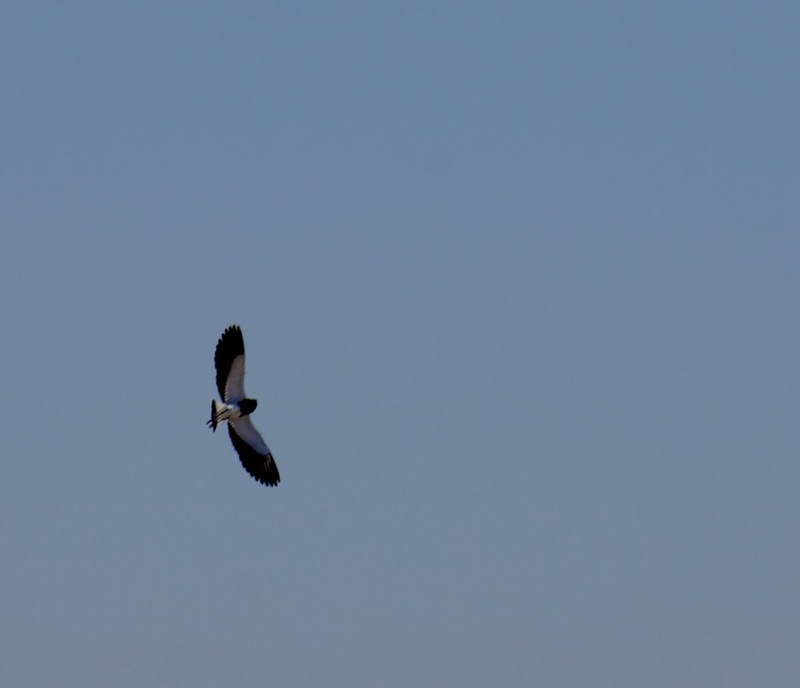 The Park boasts some 114 mammal and over 340 bird species. Wildlife we saw included elephant, giraffe, blue wildebeest, eland, gemsbok (oryx), zebra, rhino, hyena, and warthog, as well as the endemic black-faced impala. 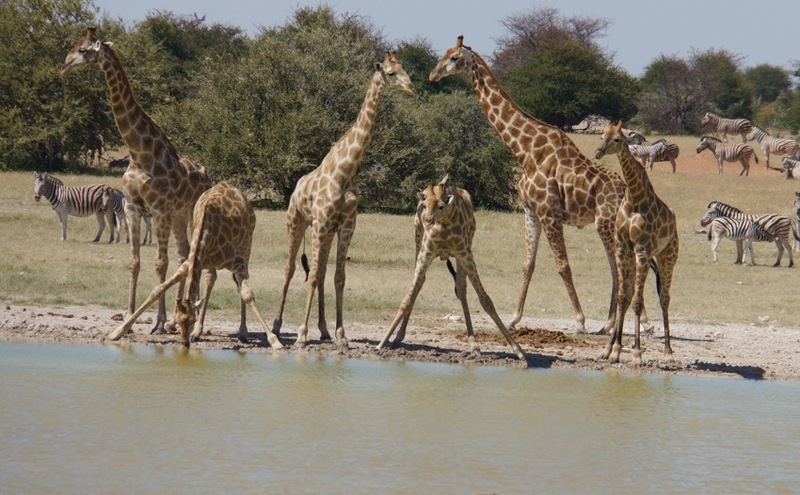 Andersson’s Camp is located just 4.5 km from Etosha National Park’s Andersson Gate, Andersson’s Camp takes its name from Charles Andersson, the Swedish explorer who first ‘discovered’ the Etosha Pan with Sir Francis Galton in 1851. Set against a backdrop of the low Ondundozonanandana Mountains, Andersson’s Camp is located within the private Ongava Game Reserve that borders onto Etosha National Park. The Ongava Game Reserve is typified by white calcrete soils, rocky outcrops and scrub-covered plains that support a rich variety of game such as giraffe, lion, rhino and various antelope species. The Camp overlooks a waterhole where guests can enjoy the interaction of wildlife coming and going throughout the day and night. This former farmstead has been tastefully rebuilt to modern-day standards. The design and construction of Andersson’s Camp was guided primarily by the principles of environmental sustainability – reduce, reuse, recycle. The old farmhouse now forms the main dining, bar and swimming pool area of Andersson’s Camp, with guest tents radiating outwards into the secluded Mopane woodlands typical of the region. Tents are constructed using a clever mix of calcrete stone cladding, canvas and wood, with double-door entrances and a small verandah that is an extension of the elevated wooden decks on which the tents are raised. The open-air en-suite bathrooms continue the unique design. 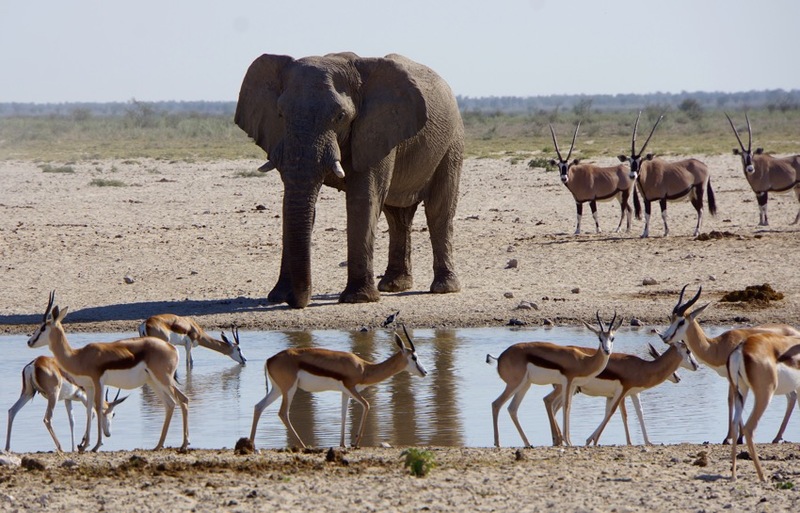 Andersson’s Camp’s close proximity to Etosha National Park is ideal for game drive excursions into Etosha to take in the array of game found there. Andersson Camp is comfortable, quaint and authentic. At dinner we can look at the camp’s waterhole from the deck. After dinner we go to an underground hide, no more than ten meters from the waterhole, where we can observe and photograph wildlife. We see a rhinoceros, but I do not have the right equipment to be able to photograph it at night. Which is okay. Just means I saw it, but you don’t. Seems fair; after all, I paid for the damn trip.